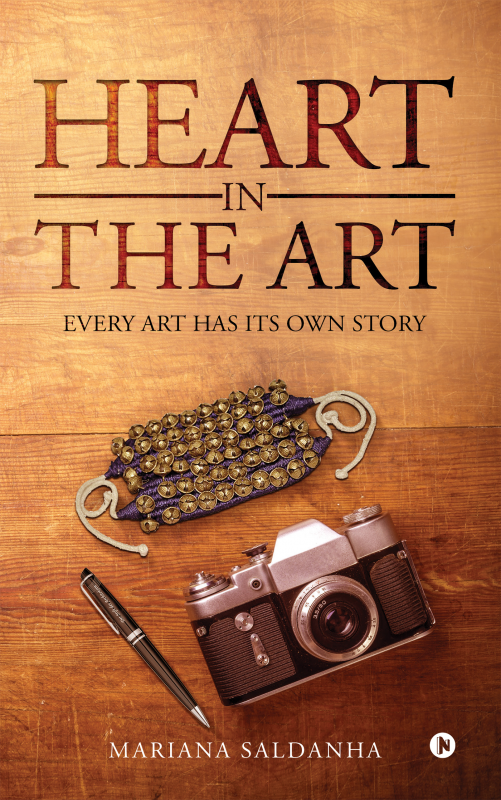 Heart in the Art is a journey of knowing about different art forms, emotions of an artist and the inspiring life every artist lives. It will enlighten you about different art forms like skating, writing, training, graphology, NLP and much more. This journey will inspire you to go and explore many art forms and bring out the artist within you. It will inspire you to live life like an art. Behind every artist there is a person who has faced many storms and has faced them to come forward as a person to inspire the world. Every art is much more than just its beauty and glory. Every artist has a life which no one knows about and has the power to inspire others. Mariana Saldanha has done her Bachelors in Management Studies (BMS) and she is a NLP practitioner, graphotherapist, aspiring trainer and now an author. Mariana is passionate about exploring new things and sharing her experiences with everyone. She has faced enormous challenges in her life, but every time she has come forward to be a better person. Her passion also lies in writing research papers and has participated in research paper presentation at inter collegiate and national level. Of all her achievements that she holds, Mariana gives the credit to the people in her life who have contributed immensely towards her growth and development. She wants to develop and grow in such a way that she also contributes in building a beautiful society that loves, cares, shares and lives like one family.